Dotco 12-12 Series Saws are vaccum ready. Dotco 12-12 Series Saws are easy to use, have excellent control, and high productivity with minimum fatigue. Dotco 12-12 Series Saws feature easy to change blades and have adjustable depth control. Dotco saws offer durability, precision and ease of use, all emerging from 60 years of manufacturing quality tools made from only the best materials. These tools are simple to maintain, and they deliver on the promise of unbeatable operator experience and comfort. Dotco saws and other tools are offered in a variety of options, so you can find the right tool for your work. The 12S1274-03 Dotco 12-12 Series Saw, Vacuum Ready Exhaust is one of thousands of quality tooling products available from MRO Tools. 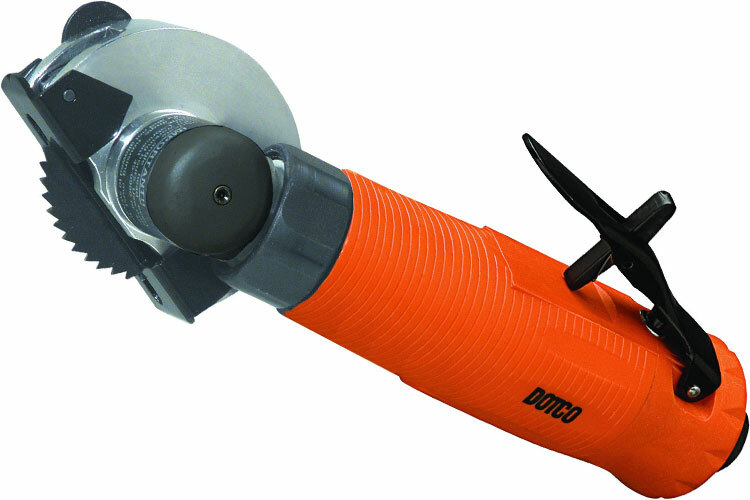 Please browse Dotco 12-12 Series Saws for tools similar to the 12S1274-03 Dotco 12-12 Series Saw, Vacuum Ready Exhaust. 12S1274-03 Dotco 12-12 Series Saw, Vacuum Ready Exhaust description summary: Dotco 12-12 Series Saw Exhaust: Vacuum Ready Free Speed (rpm): 20,000 Saw Blade Capacity: 2.0'' Maximum Depth of Cut: 7/16'' Type Housing: Composite Weight: 2.3lbs / 1.04kg Overall Length: 7.1'' / 180mm Air Inlet Size: 1/4'' Quantity discounts may be available for the 12S1274-03 Dotco 12-12 Series Saw, Vacuum Ready Exhaust. Please contact MRO Tools for details.